Katy joined the firm in 2010 and qualified as a solicitor in 2013. She trained in immigration, crime and public law. Katy became a partner in 2018 and is the head of our community care team. Katy is a dedicated public lawyer. 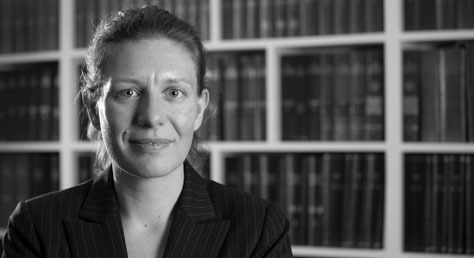 She has experience of working on a wide range of cases and has a keen interest in public law challenges with an immigration aspect. Katy specialises in community care matters for clients with ongoing immigration cases and those without recourse to public funds, including migrant families, adults with care needs, age-disputed children and care leavers. She has a particular interest in working with very vulnerable clients including those with serious mental health problems. Katy brought the first reported Judicial Review challenge under the Care Act 2014 in R (SG) v LB Haringey  EWHC 2579 (Admin) and the subsequent appeal to the Court of Appeal in SG v London Borough of Haringey  EWCA Civ 322. Katy is also frequently instructed by claimants in complex damages claims arising from immigration detention, many of which settle before trial. Katy is noted in the Civil Liberties and Human Rights category of the Legal 500 2018 as a ‘thorough and excellent tactician’. Katy was shortlisted Legal Aid Lawyer of the Year in 2017 in the Public Law category and was praised for her professionalism and compassion and for combining ‘intellectual rigour, tactical savvy and enormous diligence, with a real commitment to and kindness towards her clients’. Katy trains and runs workshops internally and externally on her areas of practice and has written for Legal Action Magazine (June 2017) on care and support for migrants under the Care Act 2014. Prior to joining Wilsons, Katy worked for three years as an appeals caseworker at the Refugee Legal Centre, preparing and presenting asylum appeals. She previously volunteered at Bail for Immigration Detainees and worked for the International Rescue Committee on a programme to promote the rule of law in Darfur, Sudan. Katy studied French and Japanese at the University of Wales, Cardiff, and graduated in 2002 with a First Class (honours) degree. She converted to law and was awarded a distinction in the Legal Practice Course in 2012. Katy also holds an MA in Understanding and Securing Human Rights from the University of London, obtained in 2007. Interests: Growing vegetables, cycling in hilly places, cooking and learning Danish.